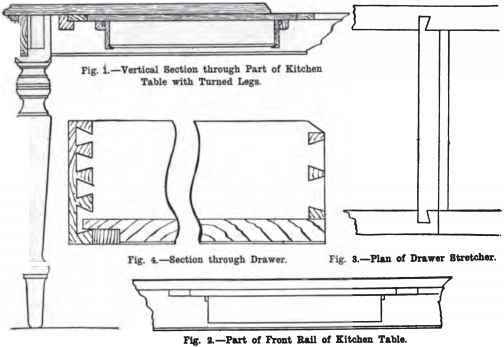 Part of Front Bail of Kitchen Table. along the front, and channelled out in a similar manner. 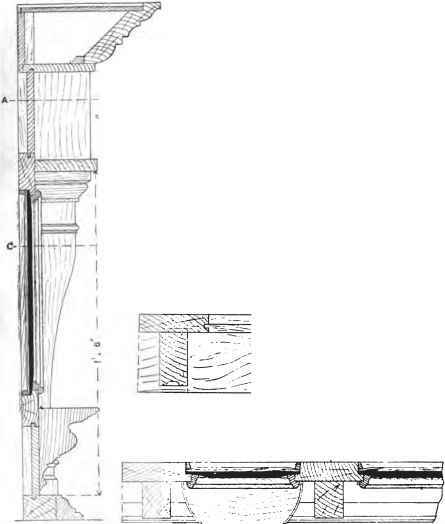 A small moulding (see Fig. 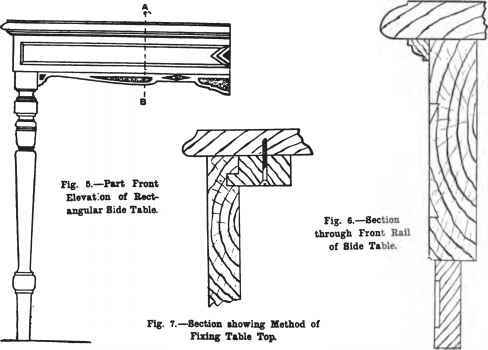 6) is carried along the rails immediately under the table top, and this top is secured as shown in Fig. 7. Small mortices are cut in at the back of the rails, and blocks, having a small tenon iV in. Fig. 9 shows a half design lor a suitable leg for the table.